The facelifted 2017 Isuzu DMAX range is now being shipped to dealers in anticipation of its February release here. In a sector brimming with stiff competition there are some welcome changes coming – some we know about, some we’re anticipating – courtesy of some tweaking and fine-tuning to D-Max’s stout drivetrain. This iteration will be the last in its current form until the recently-announced Isuzu and Mazda partnership shows itself in 2019 with a completely new vehicle. Firstly, we’re tipping that the venerable 3.0 litre four-cylinder diesel will be retained but in response to tightening emissions laws it will come fitted with a diesel particulate filter (DPF). 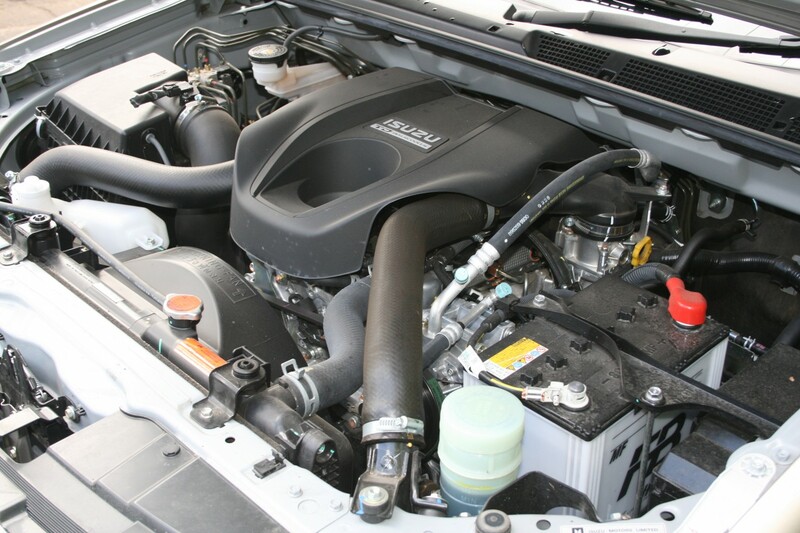 While other world markets are using a 2.5 litre for their model ranges, the word is that Isuzu Ute Australia believe Aussie buyers want a bigger capacity motor and we reckon they’d be right. Staying with the current engine in a revised form will give buyers confidence that the Isuzu truck heritage has been retained. The current outputs of 130kW and 380Nm are pretty ordinary compared to everyone else and Isuzu has done a good job masking the deficiency through clever gearing. That lack of grunt though has a plus in the form of class-leading fuel efficiency. That might now be about to suffer a little because we’re tipping an increase in torque with the 2017 model. How much? Well at Loaded4X4 we suspect a new output of around 450Nm might be a number that’s close. Another suggestion we’ve heard is that the Australian market will get new 6-speed transmissions, replacing the current 5-speeders. The current auto “Rev-Tronic” 5-speed has been a good unit and proven strong and reliable and while the manual is OK, but certainly not slick, changes here will be worthwhile and might claw back some of the fuel-efficiency lost with the gruntier motor via taller gearing. Now the four-wheel-drivers among us will want to know whether the Aussie-spec cars will come with the rear-axle diff-lock (RDL) seen on 2017 Isuzu vehicles sold in South Africa? From our test drives of the current DMAX we’ve noted that the off-road traction control system can be slow to kick in – but easily fixed with the fitment of an RDL. But, however much we’d like to see it, we think it might not see the light of day down-under. As with other manufacturers who commonly look past essential off-road tools to maintain a market price-point, we think Isuzu will likely think the same way. That’d be a shame and we hope we’re proven wrong. We do however expect the new D-Max to feature Hill-Start-Assist (HSA) as found on South African models. This is a transmission hill-hold function that prevents a vehicle rolling backwards or forwards on a gradient (giving you a moment to get going without having to worry about a stall – a real risk with an automatic transmission because once the vehicle rolls backwards while in a forward gear within the space of a few metres the engine will stall, taking with it power assistance to steering and brakes). We tried this function recently on the new Hilux and it worked to good effect, so that will be a welcome addition for Aussie D-Max buyers. It will be interesting to see if Isuzu also includes Downhill-Assist-Control (DAC) with this package. DAC when selected applies brakes automatically when on a gradient to regulate the descending speed of the vehicle. It will activate to a predetermined descent speed or set to a threshold manually by the driver. Personally we know that there’s no substitute for decent low-range reduction, because using the gearbox rather than an electronically activated braking system is less-intrusive. So we’ll hope that Isuzu have retained the commendably low first gear descending speeds seen on both auto and manual models in the recent past. 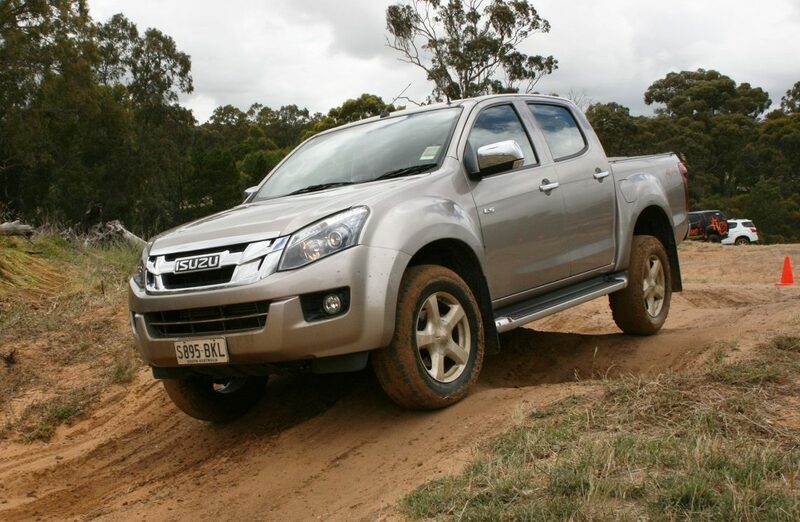 Plenty of 4WD owners complain too about the connectivity and reliability of their factory-fitted infotainment systems and we’ve heard of a few gripes from Isuzu owners. Again we’re tipping that Isuzu Ute Australia has opted for a new navigation, music and reversing camera package that’ll allow you to hook up your iPhone and other gadgets easily. 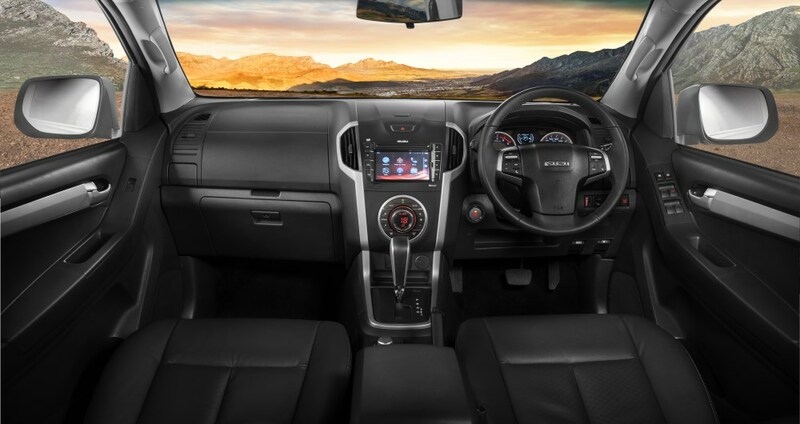 Isuzu call it their “Media Solution” which comes with enhanced touch-screen functions, Bluetooth and Wi-Fi too. Externally there appears to be not a lot of changes, a smoothing-over of the face and the tailgate are about the only obvious visual cues, LED daytime running lights make an appearance (DRL) and wheel-wise some models will get an 18” fitment based on the pics seen on the internet. Will all this keep Isuzu in the game? It’ll certainly help as this market sector is going gang-busters in Australia and showing no signs of slowing down. We’ll report soon on how it drives.